Looking to spruce up your boring old flower pots? With a little papier-mâché, paint, and lacquer, you can make a grass-type Pokémon that will make a perfect home for your houseplants. 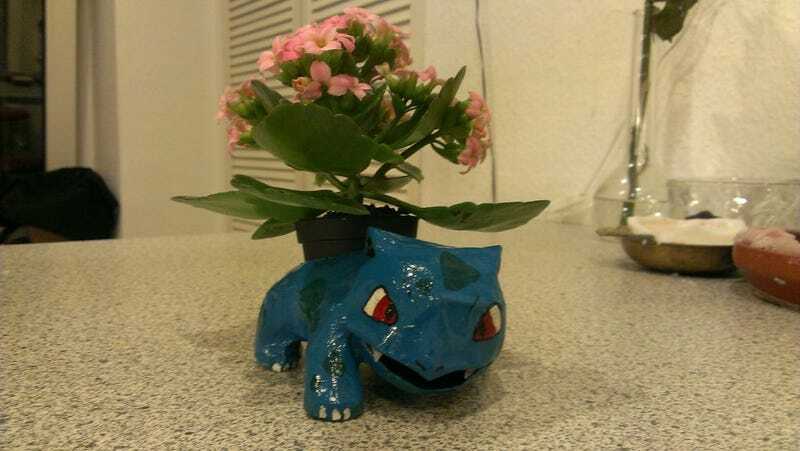 Instructables user chrisma0 posted a step-by-step guide to making your very own Ivysaur flower pot, which conveniently usesa printable papercraft model. If you're not a fan of the rough papier-mâché look, you can do what deviantART user 95n did and cover the model in clay. Prefer to try your hand at a Venusaur? Check out this Instructable by 3ddementor. Or if you like tall, stalky plants, you can make an Oddish using this Instructable by euphemism. Or you can just make 'em all!